Museums are not mere sites of art aficionados. They are indeed the ashes of history. They are recollections of things passed away and can never be fetched again. Greatest art museums in the world are not just filled with artifacts, they are filled with the arcane talent. Such talent, which only a few can ever adulate. Paintings like Mona Lisa are not just mere strokes of brushes, Da Vinci took a lifetime to envisage that enigmatic smile. The museums are really the graveyards of talent. Here is a list of greatest art museums in the world which one must visit during their lifetime! The city of Paris hosts the world’s largest as well as the most visited art museum i.e. the Louvre (to not commit a faux pas pertinent to its pronunciation, click here). The Louvre hosts 38,000 art objects with an area of 782,910 sq feet. Opened on 10th August 1793, the Louvre commenced with only 537 painting depicting the European art. The collection was further enhanced and more than 20,000 new artifacts were added during the Second French Empire. Now it hosts artifacts with gamut ranging from Egyptian, Greek, Roman, Islamic and many other varieties of art. In 1989, the Louvre added one more flock to the feather. As the iconic Louvre Pyramid got its place at the entrance. Le Louvre is clad in the history of centuries which you can find nowhere. So if you believe that you are perceptive enough to land art, the Louvre is the first place that you must visit. MAIN ATTRACTIONS: Leonardo Da Vinci’s “Mona Lisa”, “Venus de Milo”, “The Seated Scribe”, “Winged Victory of Samothrace”. One more mecca for the art lovers, one of the best art museums, the Acropolis depicts the might of a civilization that once rules the world: the Greeks. Situated in Athens, Greek, it contains archaeological findings from Greek Bronze Age to Romans and Byzantine Greece. Opened to the public in 2009, this museum contains 4,000 unique artifacts, and each one of them tells that history of an obliterated ruler of the world. It is reminiscent of the ashes of an empire that gave the world almost everything from philosophy to politics, from science to religion, and hence the Acropolis is something that you must see before you die. England once ruled the world and hence their collection derives unique material from almost every corner of the world, and Britain’s largest museum certainly is nothing short being a whole world in itself. 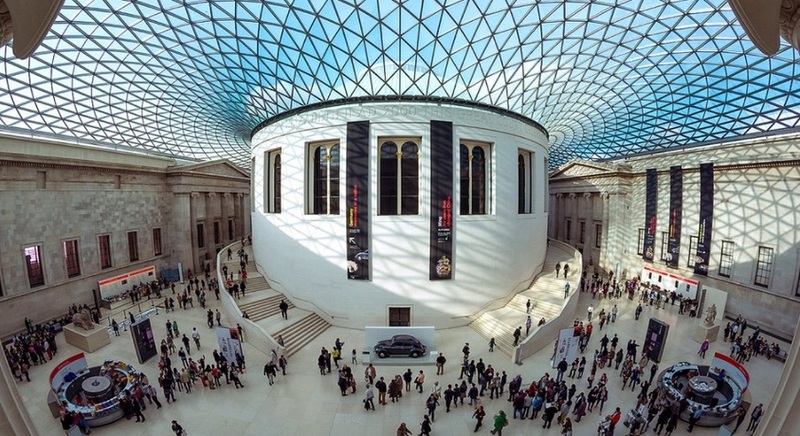 With more than eight million objects and rare collections of archaeology and ethnography, the British museum is one of the greatest art museums in the world. Its collection ranges from prehistoric bones to exquisite gold jewels. This museum is one of the best history museums in the world and it is so big that in a lifetime you might not even get the chance to relish the beauty of each and every unique artifact. MAIN ATTRACTION: Egyptian gallery which boasts of the finest Egyptian antiquities, Rosetta Stone, paintings from Pablo Picasso, Michelangelo, Leonardo Da Vinci, Raphael, and Vincent Van Gogh; ‘Queen of the Night relief’, ‘Standard of Ur’ and much more. Whenever there is a talk about history, how can anybody forget the Vatican City, around which the whole of the European history formed? the Raphael Rooms, Michelangelo’s Sistine Chapel are some enticing features of the Vatican city. In fact, containing more than 70,000 works of which only 20,000 are at a display, it is one of the best art museums in the world, this museum, just like the Vatican, is extremely intriguing. Moreover, the 54 galleries of the museum are enough to foment the architect and painter you, and the works of the greatest artists like Raphael are going to stultify your senses completely. How can anybody ever forget the splendid city of Florence when talking about history and art museums? In fact, history revolved around Florence all during the Renaissance and other European upheavals. 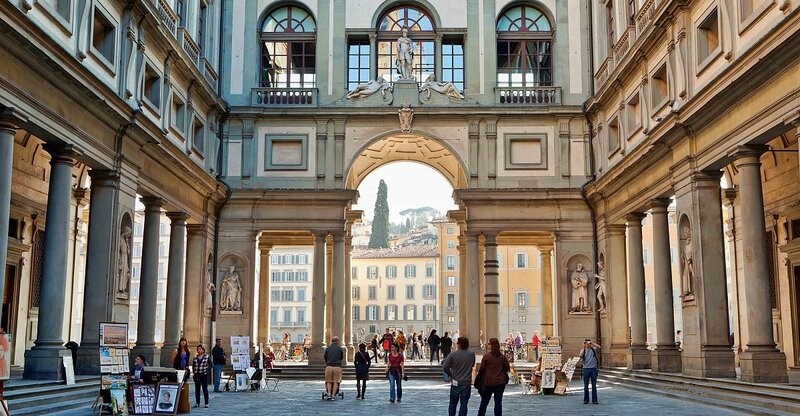 As a matter of fact, Opened to the public in 1765, Uffizi is a nothing less than the whole history of world encapsulated in paintings, artifacts and ingenious architecture. The beautiful corridors are the annals of a history which the world can never forget and the whole of the museum is redolent of the fragrance of great works of artists ranging from Da Vinci to Caravaggio. Trying to save the Mockingbirds. Besides that, a novice writer and nothing much. Writer at TNG.